A3Tweaks, the developers behind popular tweaks such as Auxo and AltKeyboard, have announced via Twitter that they will once again be taking the jailbreak world by storm "within the next month". The tweet, stipulates that the second major iteration of Auxo, AltKeyboard 2 as well as two additional packages will land on Cydia’s repositories in the coming month. Members of the jailbreak community will need no introduction to Auxo and what it represents. The world of jailbreaking has welcomed in a number of tweaks that claim to redefine "what multitasking is all about" with open arms. Some of those packages have stood the test of time, like Aaron Ash’s webOS inspired MultiFl0w, whereas others have quickly fallen into obscurity. Auxo was undoubtedly one of the most popular tweaks of last year due to its resonance with jailbroken users thanks to its seamless interface design and user-experience. The A3Tweaks team have been waxing lyrical for Auxo 2 for quite a while, with this tweet hopefully meaning there’s an end release in sight. The tweet also confirms that AltKeyboard 2 will also make an appearance in the same time frame. The original AltKeyboard offering afforded jailbroken users the ability to quickly type non-alphabetic characters from the default keyboard without having to consistently switch between the different keyboard types which Apple provides. The current version of the package only supports iOS 6, meaning that all jailbroken iOS 7 users have been left waiting for the release of the second version. In addition to pumping out new versions of its two most popular packages, A3Tweaks has committed to launch two entirely new offerings within the next four weeks. The tweet doesn’t provide any additional details about the mysterious tweaks, and it’s a hard guess what they might actually be. So it’s best to wait and see ourselves what the devs have in store for us. 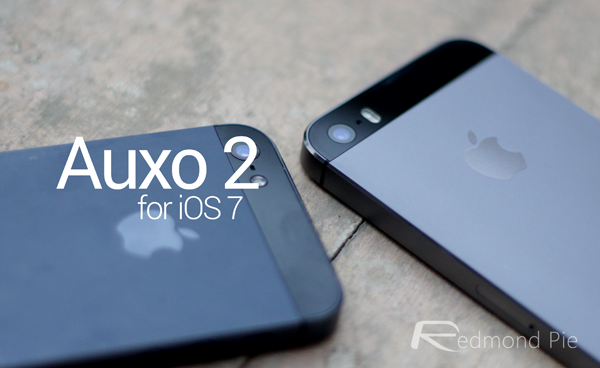 The exciting news here is the release of Auxo 2 for iOS 7 and AltKeyboard 2. With a given time frame of a month, it’s best to start the countdown right now! And we, as ever, will inform our readers whenever the new and updated versions of Auxo and AltKeyboard land on Cydia.